Opis: Today, the Sun crosses the celestial equator and seasons change from Summer to Fall in the north and Winter to Spring in the southern hemisphere. Defined by the Sun's position in sky the event is known as an equinox - the length of daylight is equal to the length of night. Just last week the active Sun produced the dramatic eruptive prominence seen in this extreme ultraviolet picture from the space-based SOHO observatory. 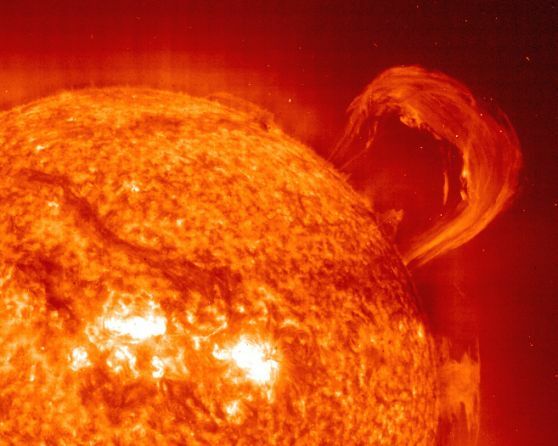 The hot plasma is lofted above the solar surface by twisting magnetic fields. 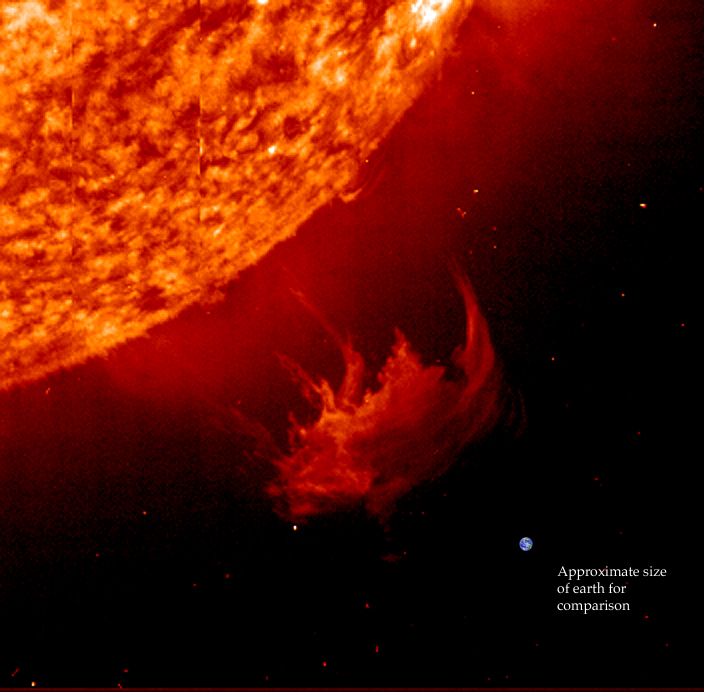 How big is the prominence? 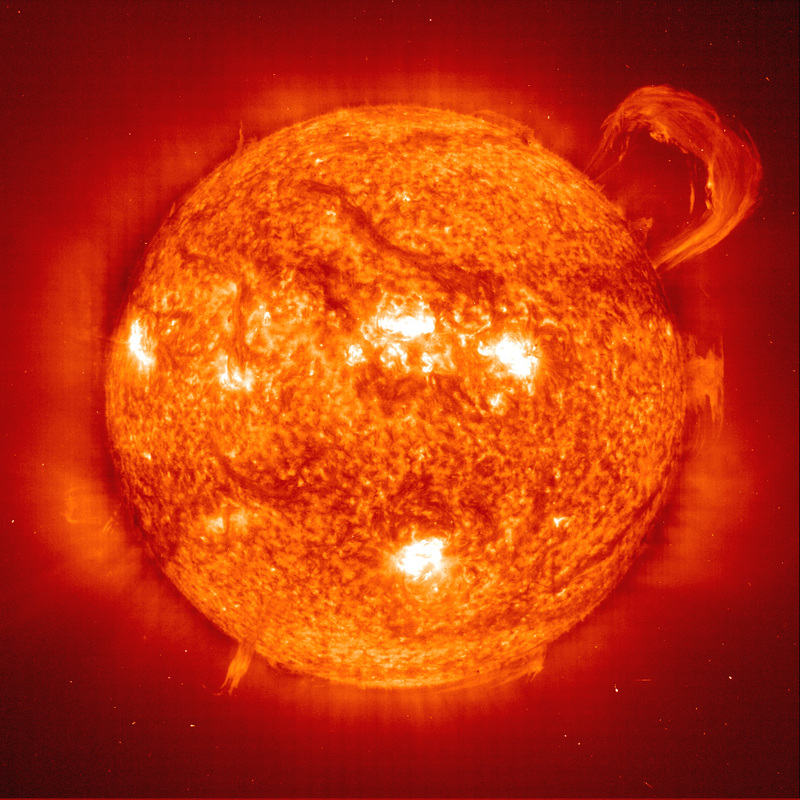 Click on the image to view the larger full-sun picture. At the same scale, planet Earth would likely still appear smaller than your cursor.